Providing you the best range of candy packing machine with effective & timely delivery. Wrapping speed Up to 350 PCS/min. We are offering our clients a comprehensive range of Candy Packing Machine. We precisely design these candy packing machines according to the market norms by utilizing best grade components. 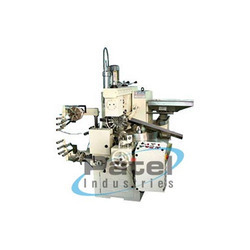 These candy packing machines are examined on quality parameters for ensuring their performance. We are providing these candy packing machines on different stipulations at nominal rates.